The world is becoming a very fast paced environment. With each step of increased travel velocity, the world has become more interconnected than ever. With the advent of the internet and pipeline speed that velocity has become almost infinite in nature. It seems like a Niagara amount of information, data and connectivity are swirling around us every moment of every day. With each passing day, it becomes more difficult for us to maintain our balance. Without balance, bad things happen. Over the last few of blog posts, I’ve introduced that Balance is the key ingredient of great decision-making, health, and happiness (human needs). Today let’s explore Human Needs. A couple of years ago I wrote a short post on human needs described by Tony Robbins. I’m sure Tony didn’t invent these needs, they have been known and observed through human history as being part of who we are as humans. But, Tony has done a nice job of observing and describing the drives behind each. I’ve watched corporate leaders attempt to boil down the big-data they need so that it fits on their laptop or tablet. They are searching for certainty and assume that if they have all the data at their fingertips they’ll always make the right decision. If that’s true, why do we need the human element at all? Just let the big-data make the decision. Leadership is dealing with the ambiguity of the situation and making the decision despite the fact you don’t have all the data. Decisions are about the future. The future is difficult (impossible) to know. Life is full of ambiguity and people in general and good leaders are better at dealing with ambiguity than computers. 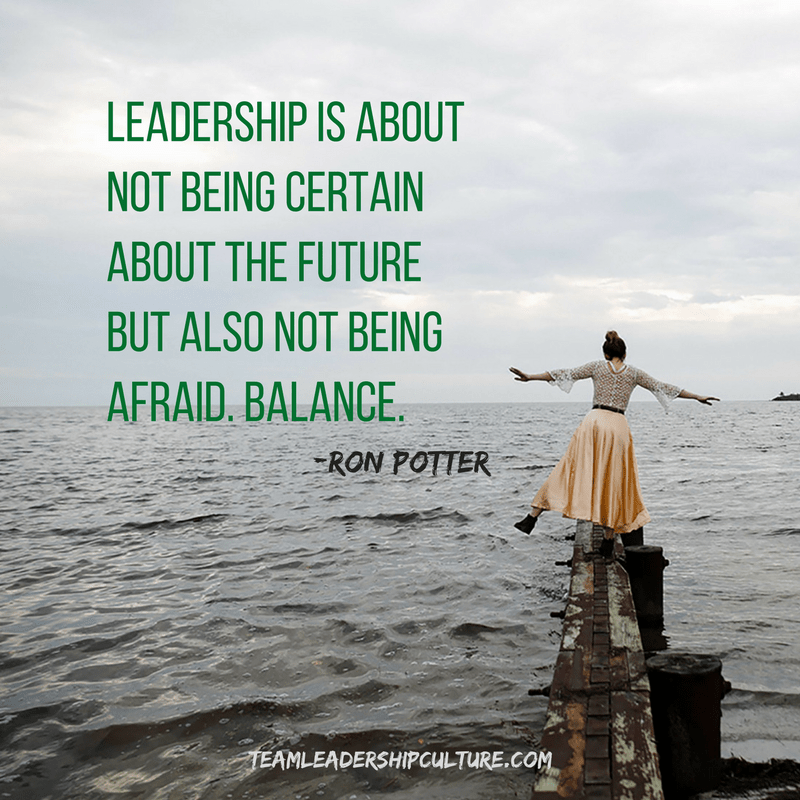 Leadership is about not being certain about the future but also not being afraid. Balance. This one is difficult to balance. I believe it takes a trusting team to accomplish. A great team encourages unique abilities, encourages them and helps develop But the goal is to serve the team, not the individual. Individuals have a difficult time accomplishing just the right balance without trusting feedback. One of our great American philosophers, George Carlin once said: Everyone driving faster than you are idiots. Everyone driving slower than you are Morons. Which means you are one or the other to all others on the road. Balance. I started my career walking steel up to 200 feet in the air. No safety equipment. Just you, the breeze and balance. Up there, balance was life and death. Balance, Balance, Balance!